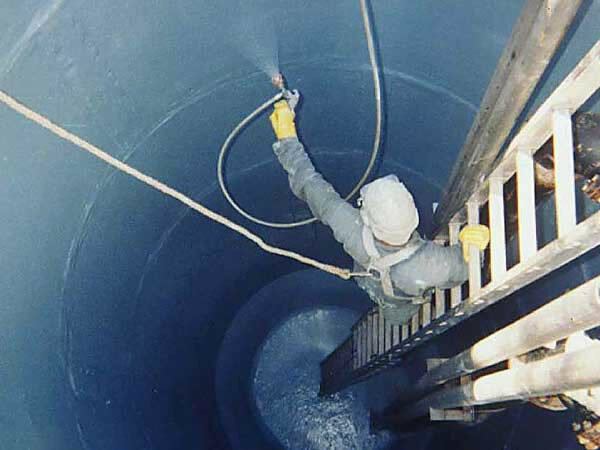 Structural rehabilitation & protective coatings provide a cost effective, permanent seal against corrosion, infiltration and exfiltration – in less time than it would take to replace your structures. Our technicians use a wide range of 100% solids, zero-voc epoxies to meet your exact requirements. These ultra-high-build products can be sprayed or troweled on to achieve a protective barrier. The thickness is customized to protect against specific environmental conditions. They are modifiable to meet specific flexural modulus and strength, cure fast even under water, and provide premium corrosion resistance where high concentrations of hydrogen sulfide, sulfuric acid, sodium hydroxide, hydrocarbons and an array of other chemicals are present. 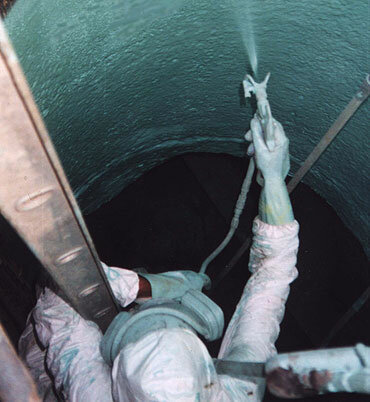 We also perform cementitious manhole rehabilitation using products that are blended specifically for the job at hand. These unique, high-strength formulations allow a monolithic 1/2-inch to 3-inch one pass spray application that helps restore structural integrity to deteriorating manholes and provide a permanent seal against corrosion, infiltration and exfiltration. 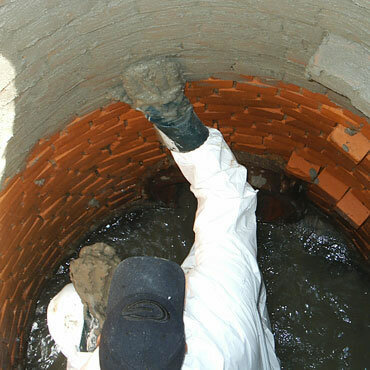 A major source of infiltration/inflow in manholes is the connection between the frame and the chimney. Freeze/thaw cycles and heavy traffic constantly stress the connection, eventually creating an opening where surface water readily enters the manhole. Our technicians use a spray-applied monolithic, fast-cure coating with elongations of 500% plus. The coating forms a tight 125-mil barrier that connects the frame to the rest of the manhole. The corrosion resistance of the coating is ideal for protecting open storm inlets from winter salts that quickly deteriorate their concrete rings.